Opaque Sage Green tint in a sanded gloss finish with a White logo on deck. Finish by Moonlight Glassing Company of California, USA. Double barreled concave tail. Single Basswood stringer. Light butterfly style tail patch, quad (4x) FutureFin boxes; all fins included. Fast fish at a great price with multiple setup options. 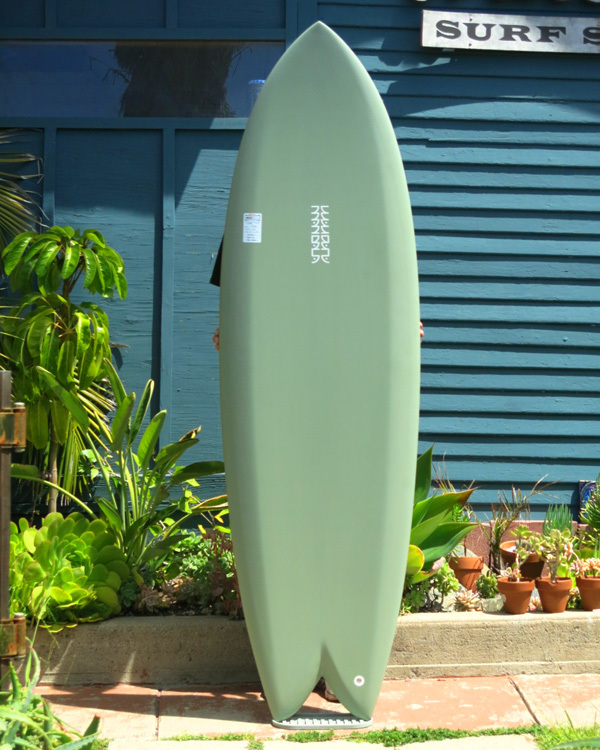 Length: 6' Width: 21" Thick: 2 1/2"
Nose: 16" Tail: 16 3/8"
Hand shaped and signed polyurethane foam by Manny Caro.